Lionel Messi and Argentina have a very favorable chance to go pretty deep in the World Cup. They were placed in the second easiest group by current FIFA rankings (Average 26.5 Ranking), while the easiest is 28.5. So even though Bosnia-Herzegovina, Iran, and Nigeria are sure to put up a fight, lets just assume they are going to advance. Now, their first knockout stage game will be against the runner-up of the group including Switzerland, Ecuador, France, and Honduras. Argentina is the closest thing to a for sure quarter-finalist other than Brazil. Even though Argentina will not be in their homeland this summer for the World Cup, they definitely have one of the shortest travels. There will be plenty of Argentinian soccer fans sporting this new away kit in Brazil for the 2014 World Cup. Their nickname, “La Albiceleste” (The White and Sky Blue), pretty much encompasses their kit colors. Both their home and away kits have made very few changes throughout the history of Argentinian soccer. So even the most subtle changes in their tops look like huge differences! 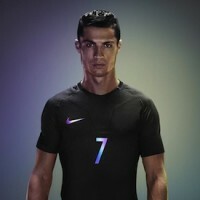 The front of this jersey is different because it changes from dark blue to black and includes diagonal striped designs. Each of these panels are in horizontal segments. As well, the collar is a V-neck design which gives it a smooth fit. 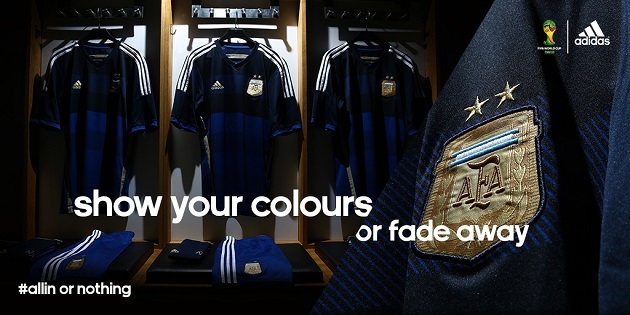 The gold Argentina crest, along with the two gold stars, are woven into the jersey. Messi, Agüero, and others will be looking to add a third star above the crest for the next World Cup. 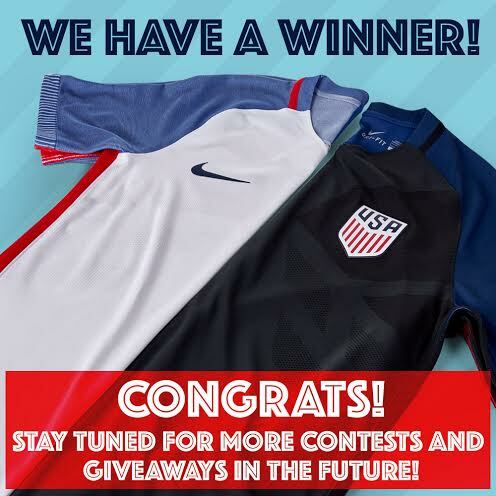 Not seen in most pictures is the Argentina graphic on the back of the neck which gives the jersey some more blue and white flavor. The shorts that go with this top are primarily the lighter blue color in the jersey. Both of these components features the adidas climacool® technology which will allow breathability throughout a long, intense match. Lionel Messi is looking to surpass the legend of Argentina soccer, Diego Maradona. So he will definitely need to add at least 1 World Cup title to his name. What better to place to win in than in the nation that borders his home country. 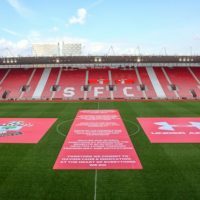 I'm the writer for most of the product content and the behind the scenes stuff with the website at SoccerPro. My favorite team has got to be Tottenham Spurs even though Bale decided to leave. What's new though, Real getting another star. I'm from St. Louis and am currently pursing an Engineering Degree at Mizzou (Go Tigers!). Besides soccer, my interests include pretty much any other sport. My friends call me the "walking Sportscenter".